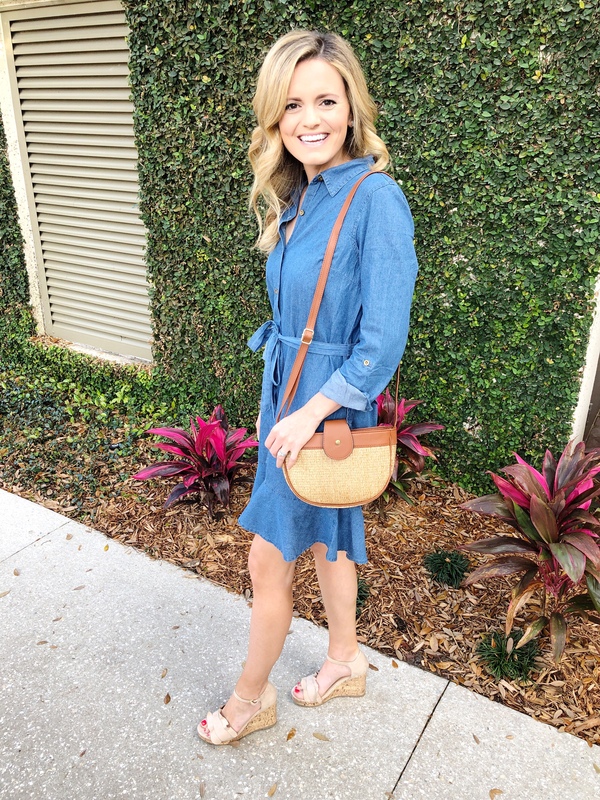 Dressing for Spring with Walmart! Hi, friends! Today’s post is an exciting one! 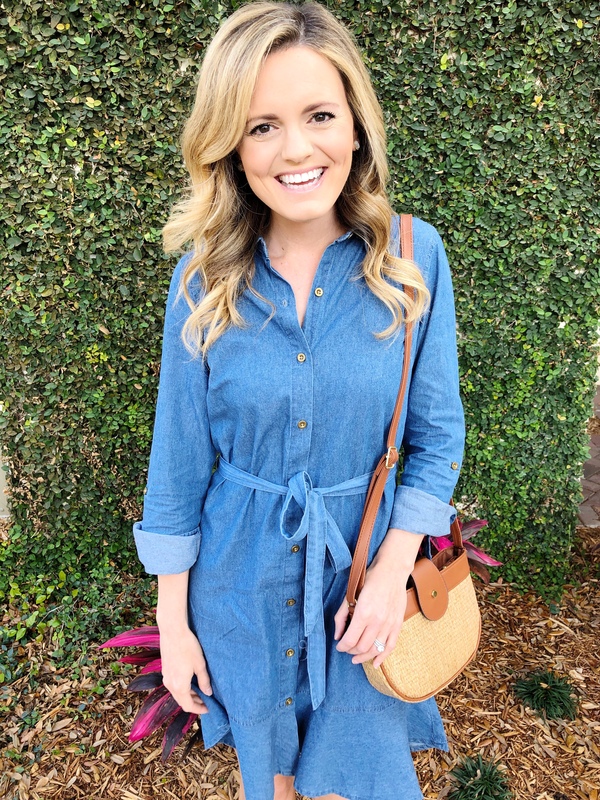 I have partnered with Walmart to show you 2 outfits that are super affordable and easy to wear for spring. Their new campaign “We Dress America” focuses on dressing the every day person, no matter where you are. I always say that getting dressed doesn’t have to be hard, you just have to feel confident in what you are wearing. Both of these outfits make me feel like I can conquer the day no matter where I’m going or what I’m doing. Another great feature about Walmart is that they offer 2-day shipping and returns for purchases over $35. I have been a Walmart shopper since I can remember, and I now look forward to adding a cute pair of shorts or dress to my order and have it at my door step in no time! I have mentioned before that I am a total shorts girl! When I saw these white denim shorts, I knew I needed to add them to my closet! They have a bit of a higher rise and the length is perfect for my 5’6″ height. 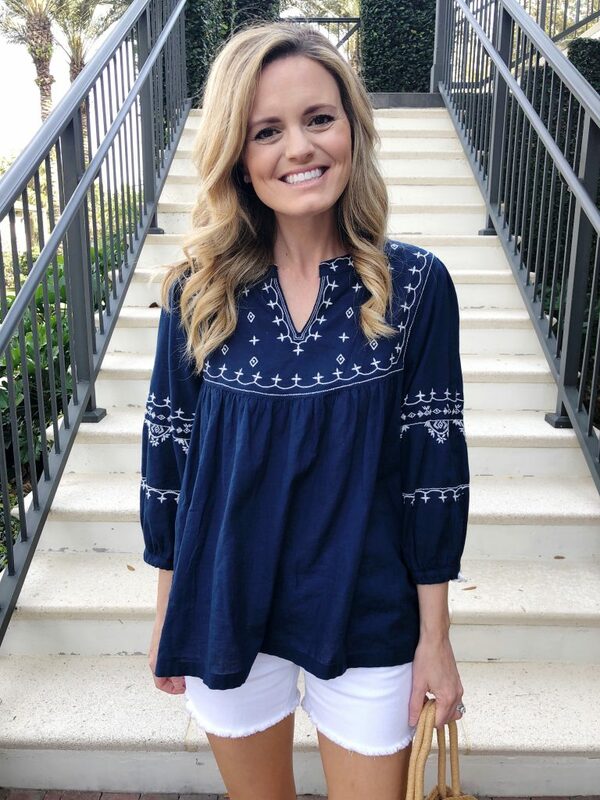 I have been on a navy and white kick lately and this embroidered top caught my eye. The detailing is so pretty and I love how it came together with the shorts. 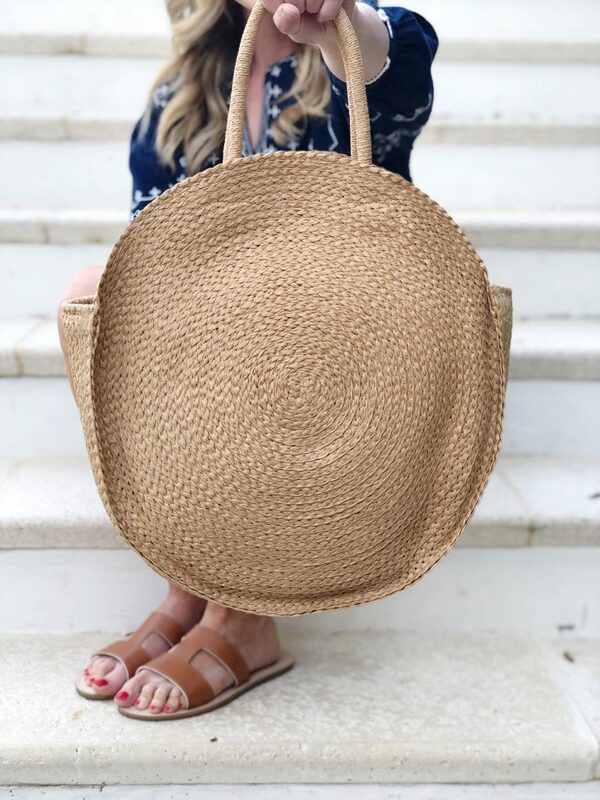 Straw totes are back again this year! I was so happy to find this one for under $20 and it comes in a few other colors. And lastly, I was shocked when I saw these sandals for only $8! They are an easy sandal to pair with so many outfits all spring and summer. 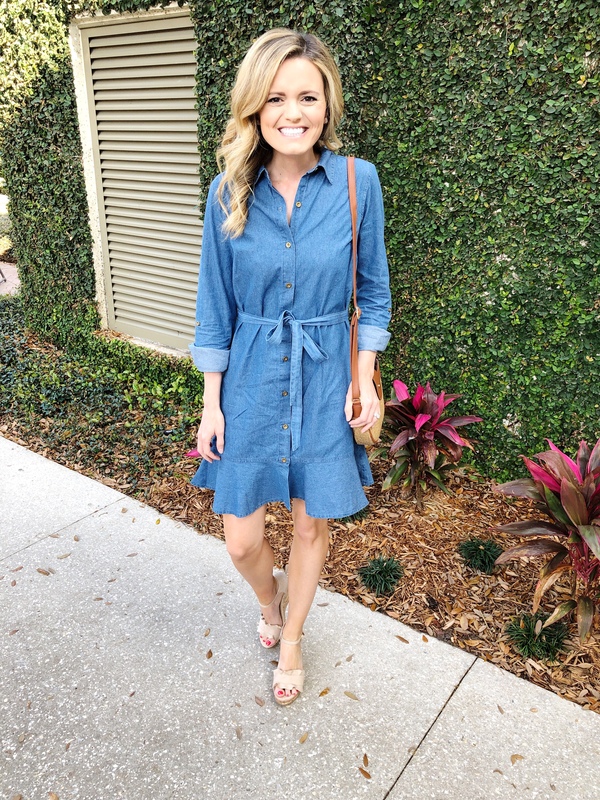 When I spotted this chambray dress online, I loved the cute ruffle detail at the bottom and the long sleeve makes it easy to transition to spring. It’s under $20 and can be worn for so many occasions! I paired it with these adorable ruffle wedges for a little height and to dress it up. 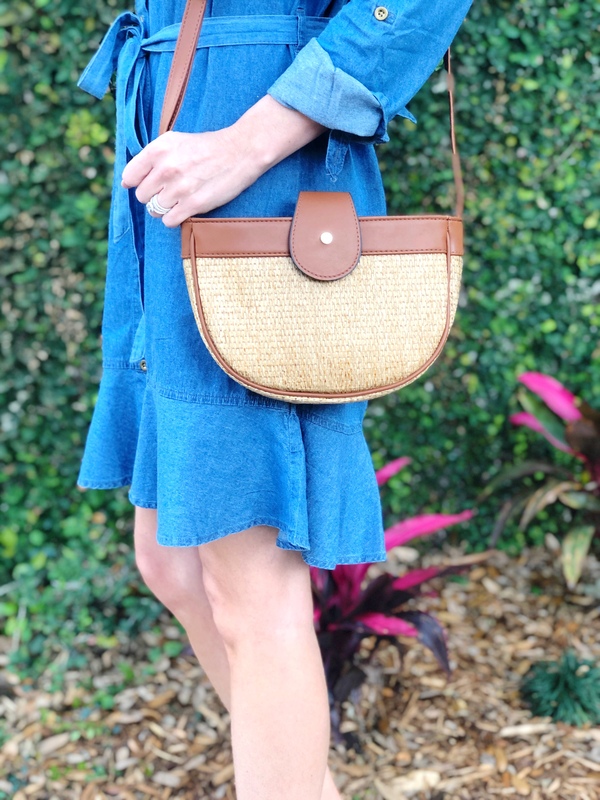 I have shared this straw crossbody a few times on Instagram. I picked it up right before our Disney trip and it really came in handy, plus it looked super cute with all of my outfits! Now I’m ready to take on this spring season with both of these affordable outfits! Check out more cute spring options from Walmart here! Thank you to Walmart for sponsoring this post and thank you to you, the reader for supporting the brands that support me.